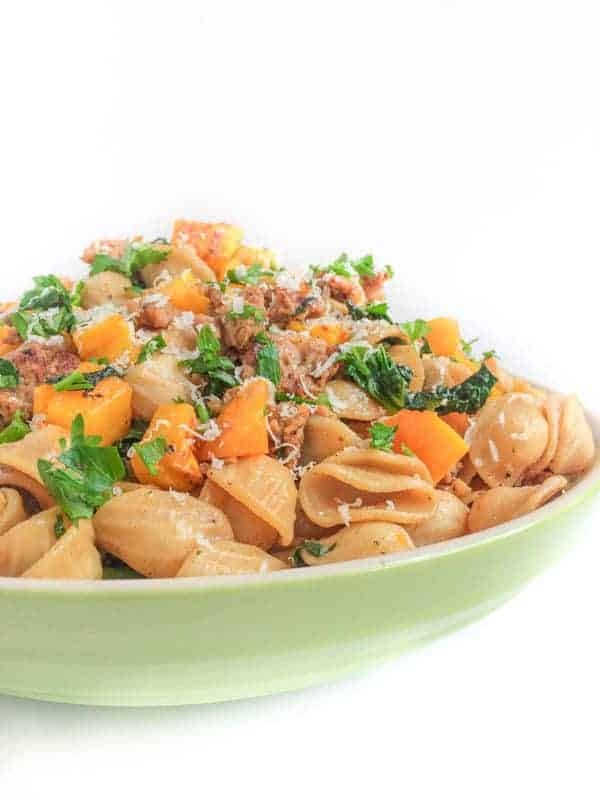 Spicy Italian sausage, hearty kale and creamy butternut squash create a warm and satisfying soup that is perfect for freezing. One of my favorite quick and healthy dinners in the middle of Winter is a warm bowl of soup. 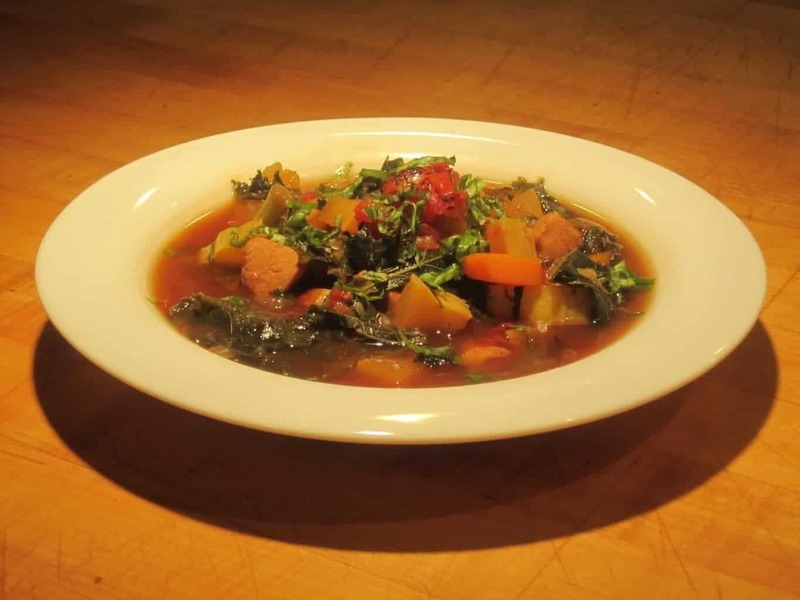 Spicy Italian sausage, hearty beans, creamy butternut squash and bright green kale are a delicious match made in soup heaven. Anti-Inflammatory Properties: Kale contains omega-3 fatty acids which can help alleviate arthritis, fight asthma as well as autoimmune disorders. 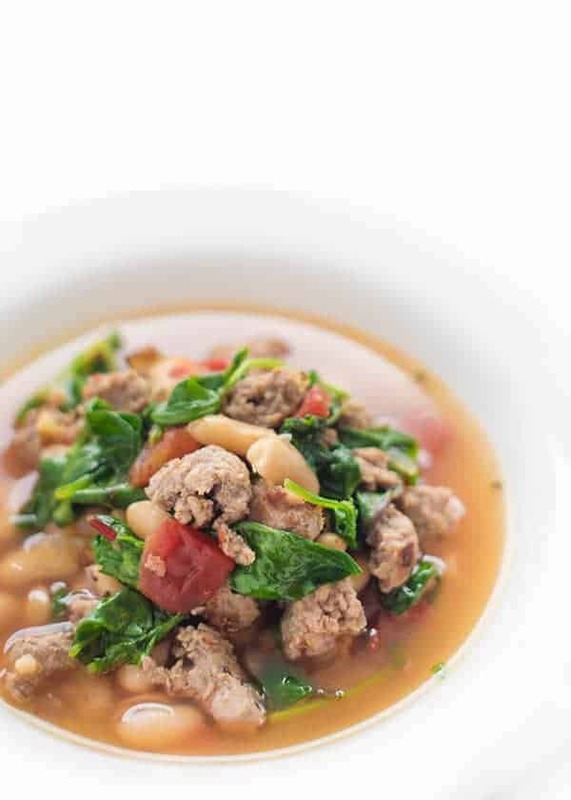 Protein-Packed: Thanks to lean turkey sausage and creamy cannelini beans, each serving of this soup provides over 28 grams of protein. Protein and fiber are the key to stabilizing blood sugar levels and staying fuller, longer. Weight Loss: Each cup of kale provides 5 grams of protein which helps lower cholesterol, aid digestion and improve liver health. Bone and Eye Health: Vitamin A, calcium, vitamin D and K all help keep your eyes healthy and bones strong. Soup is not only freezer friendly but tastes even better the next day for lunch. Whenever we make soup, I make a second batch to pop in the freezer or save for busy weekday lunches. Heat a large soup pot over medium-high heat and spray with olive oil non-stick spray. Remove sausage from casings and add to pot. Brown sausage for 7-8 minutes using a potato masher or wooden spoon to break into bite-sized pieces. Add garlic, diced onion and red pepper to pan (as well as a pinch of salt and pepper) and cook until softened, about 5-6 minutes. When sausage is nicely browned add broth to pan using a wooden spoon to scrape up all of the delicious brown bits from the bottom of the pan. Raise heat to high then bring soup to a boil. 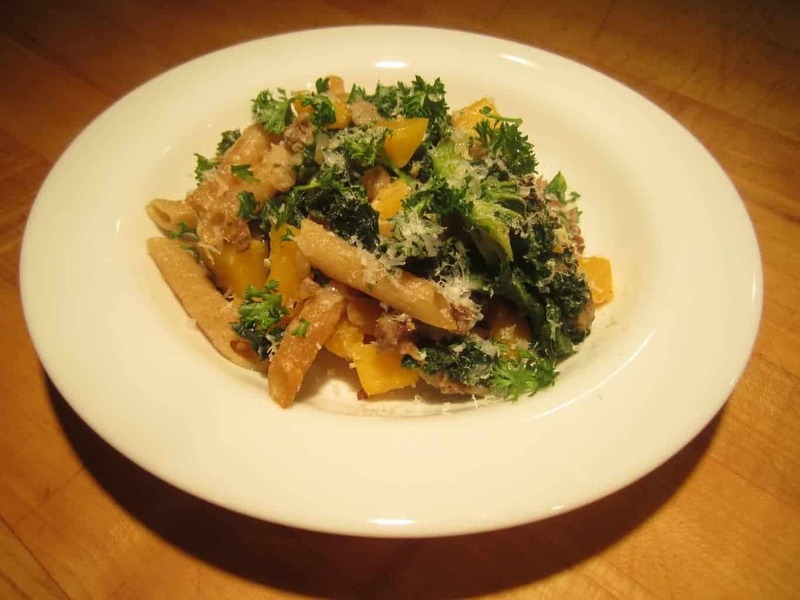 Add butternut squash cubes and cook for 15-20 minutes or until softened. Five minutes before serving, add kale and beans. Season with salt and pepper to taste and serve with freshly grated Parmigiano reggiano if you wish. When browning the sausage, don't be afraid of a little color! The longer it browns, the more it caramelizes which means more flavor when you deglaze the pan with chicken broth. The amount of salt needed will vary depending on the brand of sausage, chicken broth and beans that you use so season accordingly. 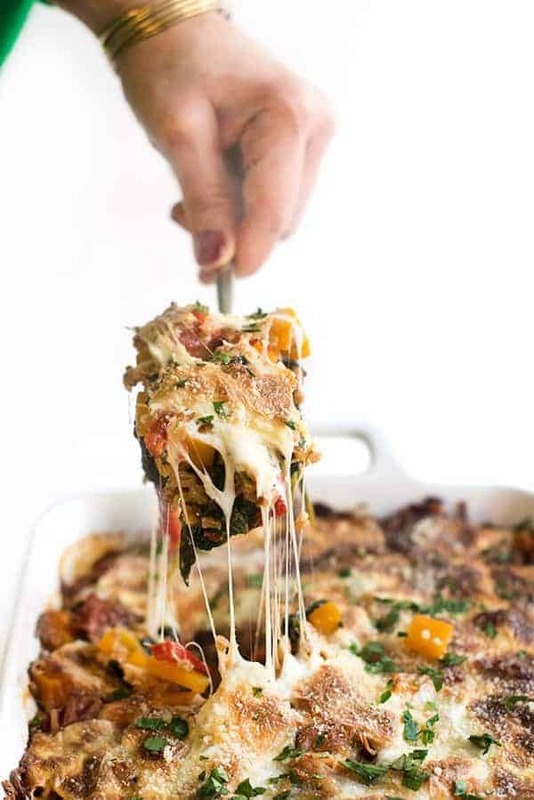 Wonderfully easy & delish! Green chiles added mild heat.